Eight-year-old Mandy isn't what you'd call an emotional child. Whether at her own surprise birthday party, scoring the winning goal, or being stung by a bee, Mandy doesn't show her feelings. 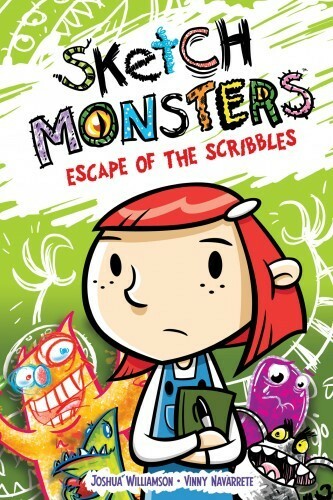 Instead she draws them as monsters in her sketchbook! But one day her emotions run wild and those monsters escape! Mandy's only help catching them is an eccentric monster named Happster, who causes more problems than he solves. 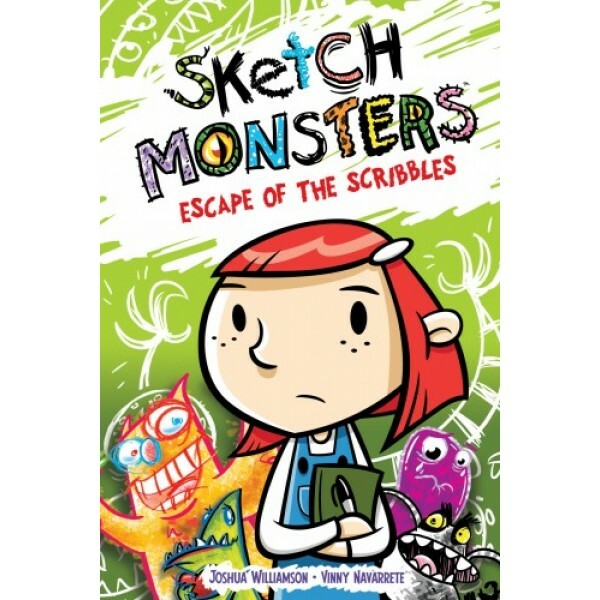 Can Mandy catch all the sketch monsters and return them to her sketchbook before they destroy her town? Sketch Monsters is a graphic novel about learning to express emotions openly and respectfully for kids of all ages.